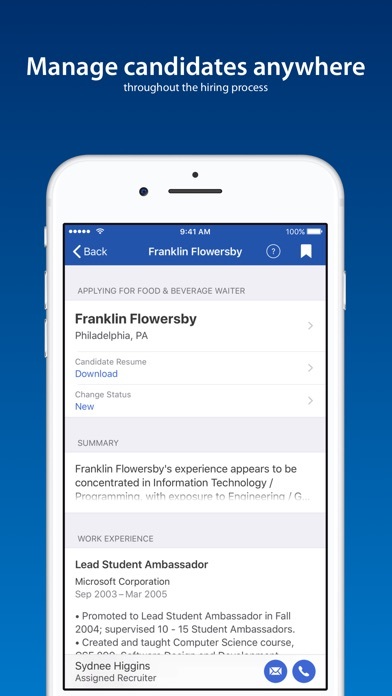 The Dayforce app is TERRIBLE. This app is not reliable in any way. Sometimes I can use it to punch in, sometimes I can’t, and there is no rhyme or reason as to why. Many of the features are confusing and do not function in a user-friendly way. The Dayforce system as a whole (aside from the app) is also convoluted, with limitations that other timekeeping systems do not have. It is incredibly frustrating. I can’t find a way to cancel shift trades. Other than that it’s been good. This is new to our company late this year. I am unable to request time off through this app. To me this is in the top two reasons to put this on my phone. Many features are unavailable to me. How soon before the app will allow us to define a new password? Our company doesn't use the app to clock in, and the functionalities it lacks -- initiating messages to managers and other employees, a few other features -- are not available by our company's choice. Viewing my schedule as well as the scheduled employees for the day, being able to list and make requests for partial availability, ease of offering or picking up partial or full shifts, and alerts for changes to my calendar makes it ideal for our store. The app is very convenient and easy to use. I really like it. Everything seems to be functional, but having to continually login in over and over is such a chore. Waiting for TouchID. Not for people in the field. I use it to clock in and clock out, and it works just fine. I hope this becomes available on the Apple Watch soon so I don’t need to bring my phone with me. The worst service, I have to reset my password all time. Good my gives you limited access to features than the desktop version. Nice job having Dayforce seamlessly populate my work schedule into my iPhone and iPad. It does not let you change your password or even view/print your paystubs. And when you try the full website it won’t let you log in. The only reason I can get in now is because of my Face ID on my phone. Would love to see earnings recaps, and ability to have Management, Captains and Mates be able to have timekeeping options. Ability to enter own AR etc. Every time I try to edit which favorites are on my dash the app crashes. There are no updates for the app and my software is up to date. Also, I’m not sure if this is Dayforce or my job but when I input vacation requests my managers cannot see it so we still have to do paper requests. The Dayforce app is outstanding and very easy to navigate when it works. The calendar doesn’t always sync to my phones calendar and that a pain. 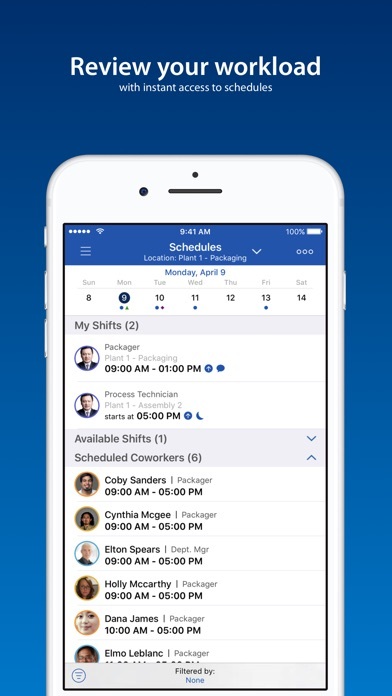 Dayforce is the most brilliant job scheduling app that has ever been invented! No more writing on the wall or “takin pics “ of my work schedule. Super convenient!! The app doesn’t link to my bosses computer on all things. With Apples latest update the app seems to be having a lot of glitches. It would also be nice it the app was simplified in some ways to make it easier to use. My company use to use a.d.p, and then we switched to Dayforce which is horrible when have gotten use to a Cadillac app like a.d.p. If facial recognition fails, you’re forced to enter a password. After two unsuccessful attempts to login, you’re locked out and have to contact your HR dept to unlock it. I have had no issues with this app until the most recent update. For the calendar, it does not allow you two change to the next month. For example, it will show me the September calendar and my shifts but when I want to switch over to October it will go to the month but within milliseconds it will kick me back to September. Since updating to ios 12, the dayforce app won’t let you swipe to the next month on the calender part. Just goes back to the current calender. Is the best app so that you could know your work schedule depend what company your in and it helps a lot recommend to use this app it helpful a lot trust me ! Unable to view updated schedule??? When I attempt to go to October’s calendar the app pushes back to September. Because of their my schedule for October isn’t synced to my calendar. Disappointing to say the least. I’ve uninstalled the app and reinstalled and get the same results. This issues impacts all of my coworkers so the convenience of having the app is slim to none at this point. What’s the issue? Is there a fix? Is anyone else having this issue? Difficult to navigate. Doesn’t allow access to current information ie current hours worked. No user guide. Every time I go to sign in the blue button does nothing. Won’t click won’t push, whatever you want to say. I put in my username and password and then push the blue button that says sign on and nothing. Nothing loads nothing changes it’s as if the screen is frozen. It’s very frustrating because I have deleted and re downloaded the app a few times already with no change. This app is awesome! I can do everything I can in the browser in the app and it’s super fast. My previous company had Ultipro, which was a nightmare to do anything. Easy to navigate and works well. 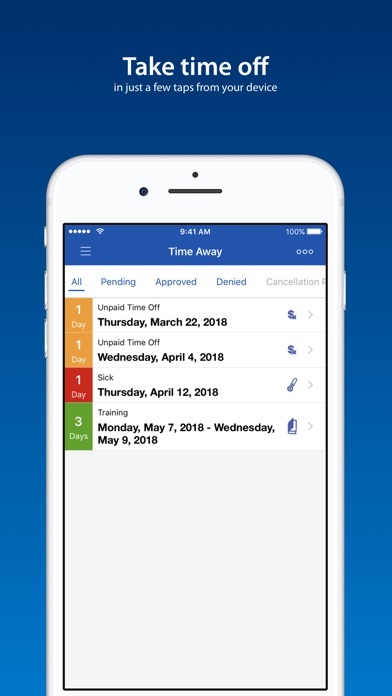 Ninety percent of people who use Dayforce only use it to submit or approve time sheets. Dayforce doesn’t seem to get this basic fact, and makes it nearly impossible to find time sheets that need to be reviewed. Then it sends automatic messages to my email constantly, saying I have records that need review, with no links to those records or information on how to access them. It’s a pain in the neck every week, trying to find out where on the app my direct reports’ time sheets are hidden. The website is equally useless in this regard. On your most recent update is HORRIBLE. You’ve added a “save” feature and it doesn’t interact at all. Please revert back to the previous system of only Authorize or Unauthorize. Add touch and Face ID ! Application géniale. Simple et efficace. It is great for Businesses to use. Great app but needs work on the shift trades. They could make it easier to post and also to reach out and accept someone else’s shift. 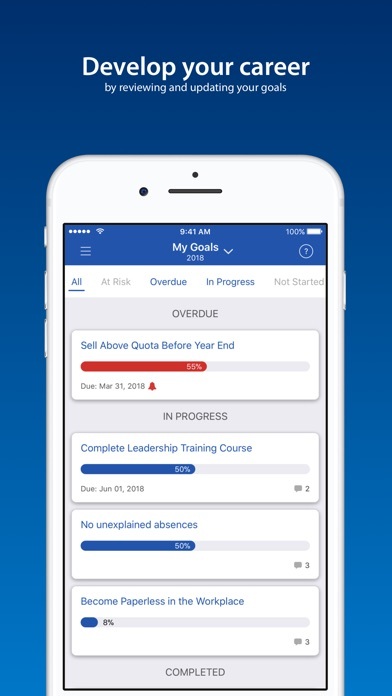 Im writing this review based on the app on my iPhone This has been a wonderful working success for me no more computer I can do it all on the work phone thank you Ceridian . I think this app is genius. I love that I can make myself available or unavailable. I can request days off way in advance & most importantly I can keep up with my work schedule. This app is not intuitive. I am a manager that approves employees time. When I go it, the first screen should have my tasks and people to approve. The next screen should have a way for me to easily request time off for myself. Things are in weird places. For the most part, the app is pretty handy. The logging in process still seems to have an issue. You choose to stay signed in every time but each time you go back, you have to sign in again and click “don’t show this message” each time. Must be a glitch because I have to get the text code each time and resign in. If this helps the safety feature, then I’m all about it. The update made it look cool, but it was way simple n complex before the change! Do not like not being able to do changes on a mobile device. Almost missed out on my benefits due to that. Your update didn’t fix it. Still can’t authorize time after saving it. Shouldn’t have to go in multiple times just to log one pay period. Please go back to the older version. I have already put in a request with our company's HR to switch to a competitor. 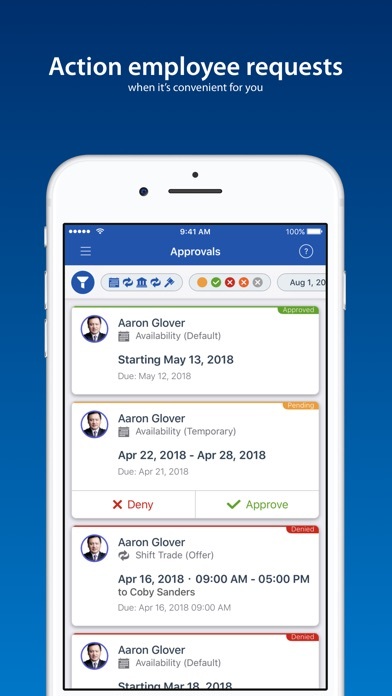 Two updates ago Dayforce introduced a new timesheet validation feature. This feature makes it impossible to save changes to your timesheet. Since my employer adds hours automatically, I have to manually go in and mark hours I actually worked in order to get paid. With Dayforce's new timesheet validation feature, I cannot do so at all. I get an error message reading "failed to validate timesheet" every time I try to add a shift. Numerous of my fellow employees have complained about the issue, and our office manager contacted Dayforce. They said they would address the issue in a new update, yet it still persists. We will be switching to a competitor as this product is simply useless now. Be warned that they have terrible customer service and do not address app errors. Very easy to navigate! User friendly for sure! I am 67 years old and have been working since I was 15. I have never had to use a time clock or any type of clock in device that was more frustrating and irritating to use. This day force program should have been tested in our (the optical) environment for a longer period of time before it was released on the masses. I wish more people from work used this app regularly. Its really super helpful keeping track of my schedule, i just wish i could merge it with my stock calender on the iphone. The latest update won’t allow me to log in. I keep getting an error message saying my user name or password are incorrect but I know they aren’t because I’ve been using them both all day in store. Very convenient and user friendly! Dayforce is the single most frustrating program I have ever dealt with. The passwords cannot be changed unless I am at work, and when I am at work I am working and 1) not thinking about how many hours I am going to log in and 2) uncertain how many hours that will be, as I am still working them. I do not know, and cannot find out, how to get my home email to become Dayforce compliant to resolve this. It has become a biweekly annoyance both to me and the people I have to bother to reset my password. I believe it’s a great healthy tool that is useful for hours and pay rate. Along I just wish there was way where I can see how many vacations I have used up versus how much I have left over. Since the update, saving authorizations and comments does not work most of the time. Please update the app so we can bid from the app! The app is not user friendly at all. But it is still very slow, doesn't display pertinent information, doesn’t let you (easily) know who picked up a shift. Many issues but thank goodness for this app. It saves us from having to use the horrible website. this app would be 10/10 if it had widgets that could display my next shift instead of having to log in every time. Widgets man! Widgets are the future! Help a sister out!!! I like it! Very easy to navigate. I just wish we were able to see the schedule in whole instead of individually. For instance, when seeing our next shift we can see who else is working that day with us. Useless, doesn’t have a TimeSheet feature, and doesn’t have all the features as you can on the website. Needs to be overhauled. Need to have a setting time remind time to clock off or automatically clock off when leave the perimeter for 2 hours. So sad that apple no longer supports silver light which is required to use dayforce. Dayforce app does not allow one to bid a schedule. I feel as if dayforce is not keeping current with the technology. Worked great initially, now barely works at all. Uninstalled. Initially wouldn’t authorize my shifts now doesn’t work at all and lost an entire week of entries. Uninstalled, guess I’ll have to enter everything on a work computer. Makes planning my hours and off time a cinch. Great application! Worst system ever. Not user friendly. Inaccurate. Support is horrible. The recent update did not fix the issue with saving time sheets. This app makes life so much easier for me that I had to take the time to thank you. The breakdowns in the earning category are my favorite feature. The pie charts are just fantastic. I also appreciate that my benefits coverages are now so easily accessed. It doesn’t get any better than what you’ve accomplished here. Thank you. Much appreciation. The clock in/out feature doesn’t work. I get an unknown error every time I try to use it. What a waste of company money! We’ve have been using this app to clock in, clock out, and do a labor transfer in order to be compensated under the correct pay. The first of many infuriating problems with this app is that this app is really inconsistent and unreliable when you wanna do anything with your time clock. Whenever I or any of my colleagues want to clock in, clock out, start or end our lunch, or even labor transfer we are 95 percent sure that we are going to be hit with an error. What frustrates me even more is that the app doesn’t even tell what the problem is instead it just says “An unknown error has occurred” this frustrates me so much because even the app doesn’t know why our time clock interactions isn’t going through. Another major flaw is the labor transfers and the timesheets. My job especially, in my position, we must transfer between two different pay rates and looking at the time sheet it doesn’t even say our transfers went through. So either the timesheet or the labor transfer is not working properly and this may affect my pay. At this point I do not recommend this app. The desktop version is better than this and the desktop version doesn’t hit you with errors and works all the time. I’ve completely stopped using the features the app was made for since it doesn’t work and just use it to look at my schedule and that’s it. There’s an option for the app to login via face scan but it never prompts me for it when I open the app and the new iPhones don’t have finger print readers so I can’t login that way either. I have to login with my password 4x every single day. I am very comfortable with this app. It’s so easy to use and makes pay, time, and benefits information easy to find. Forced to use due to employer changing. Obviously to save money. Nowhere near the service or performance of ADP. Two different sign on and passwords required for PC and App. Still haven not been able to fix PC sign on. Customer service is poor. Cannot see pdf of paystub or documents that affect deductions. Several mistakes made and not fixed a week after being forced to use service. I don’t trust Ceridian to handle my money. Nothing I can do about it. I’m a store manager but I can only see my upfront schedule and not back shop schedule. The app should allow me to view the wholes store schedule so i can make adjustments on my days off. I like everything about it some times on my calendar it will give me what I was scheduled not what I worked. Maybe the problem is me and my calendar and synchronizing Thanks for letting me work for you!